Okay, I admit, I have a tendency to do certain things backwards. Hubby laughs at this one: whenever I pick up a magazine, I thumb through and begin reading somewhere near the back. I sometimes do that with catalogues, too. Why? Because the snazzy pictures are in the front, and the words are in the back. I like words. American Sniper, the movie, is in theaters in my area of the country as I write this, which means it is the perfect time for Pam to read the book! Chris Kyle’s exploits are apparently quite controversial, based on the reaction to the film, but I did not find it so much controversial as conversational. After I finished, I felt like I has spent a while talking with this Texas cowboy turned Navy Seal, who loved guns and his country enough to go back into a war zone, over and over. Why is Kyle’s career a controversy? There are those who feel that Americans were invaders in Iraq. Okay, I see that. A little bit, anyway. Any war on foreign soil will have that aspect. And there are those who feel that being a sniper, hiding behind a big rifle with a bigger scope, is a cowardly way to fight. That I don’t get, at all. Guerilla warfare is not new. And, in the war in Iraq, with insurgents attacking government installations and convoys, having a sniper on every tall rooftop made a lot of sense. As he often puts it in the book, Iraq was a “target rich” environment. His recorded number of “kills” is far above any other sniper, and he is matter of fact in explaining that his accomplishment was in part due to being in the thick of things for four deployments. Kyle’s story, which begins during his childhood in Texas, is entertaining and quintessentially American. When he discusses the war, it is the voice of a military man, explaining what happened from his point of view. Also of interest are brief interludes where his wife, Taya, discusses what was happening from her perspective. This gives the story more depth because modern warfare can happen so far away that the combatant’s home country is isolated from the realities of war. The price paid by the family is made quite real through her observations. If you haven’t read Kyle’s autobiography, you might want to give it a try. 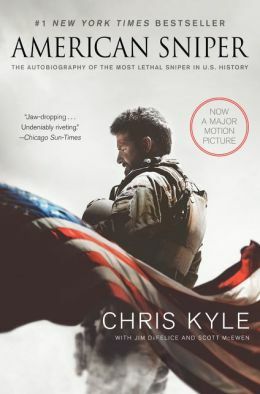 Although it becomes a bit repetitive, because what he did on a day-to-day basis didn’t change all that much, his voice is strong throughout the book, and Chris Kyle was a man’s man in a country that has, by and large, gone soft.